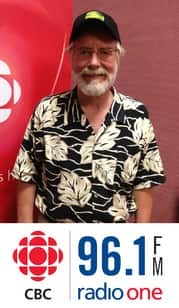 Hank Stinson is familiar to island audiences and he's on stage again this summer at the MacKenzie theatre as the narrator and newspaper man in Dear Johnny Deere. The play is inspired by the music of Fred Eaglesmith and tells a story of rural struggles. Hank dropped by the studio for a chat and to explain what a "Fred head" is.